How do you find that role in which you get to play to the best of yourself? You don’t. You have to build it. And while you can do that on your own, the truth is it’s awfully hard to do without someone close to you who recognizes something unique in you and encourages you to develop it. This person won’t put a job description on you and let it define and crush you. He or she will try to help you carve out a role that brings out the best of you. Which means that this person has bothered to truly pay attention to you. What a beautiful thing that is. We all have those people in our lives. We may not think about it, but we do. A simple way to figure out who’s played that role in your life is to think of your “personal board of directors.” This is that small group of people who really care about whether you flourish and grow. 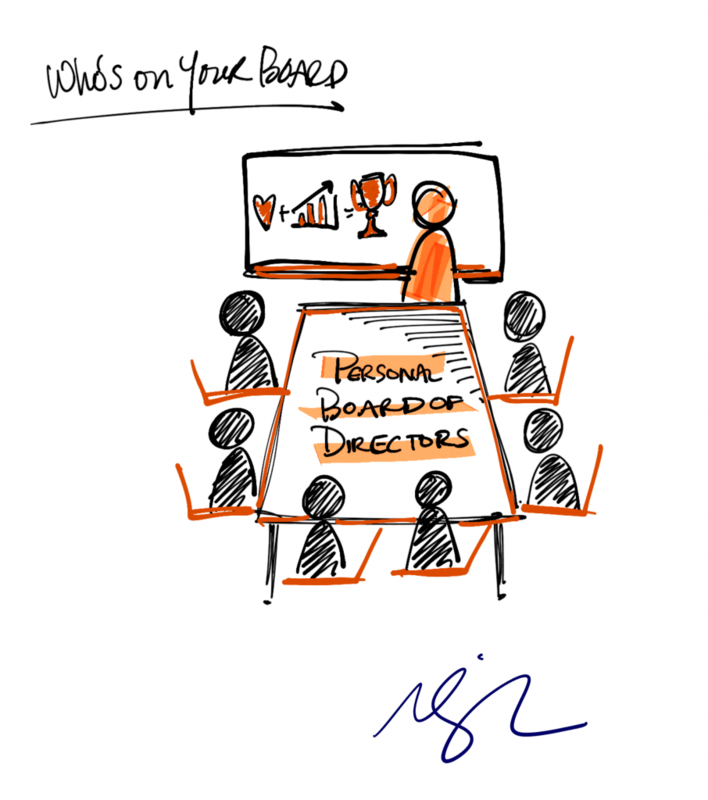 Who's on your “personal board of directors?” Who cares if you succeed @ work? #LOVEandWORK Click To TweetIf you ask people to take a few minutes and think about who sits around their personal, theoretical board, it’s not just their family and best friends. Almost without exception, they will have a manager or a team leader — not every manager they’ve had, but that one special manager worthy of sitting next to their closest friends and advisors. This is the manager who has said, “I see you, and I want to give you a chance in what we’re paying you to do to express the very best of yourself.” This is the manager who genuinely cared about them, challenged them, and expected the best of them. This goes beyond the basic transactional nature of work. It’s only about you and your uniqueness, and what you can contribute out of that uniqueness. It’s not about getting more work done through people; it’s about getting more people done through work. It’s nice to see you getting back to your roots, Marcus. I love this concept ‘Who’s on your board’, I immediately recalled a few people who have been on my personal board for many years, I have the greatest respect for them and feel blessed that that valued me enough to invest their time and energy into me! Thanks Marcus! This is such a powerful exercise that we do in SOTL training. It becomes that aha moment where leaders understand the power that they can have in someone’s life, not just job, but life. Because chances are they put a current or past leader on their own board. Powerful stuff! Determination , going beyond what I might be expected to be capable of …from fitness perspective. I tried this exercise at a recent offsite with my small team. They all placed me in their board and it is a touching moment but also shows you have connected with them and they are bringing their best to the job.